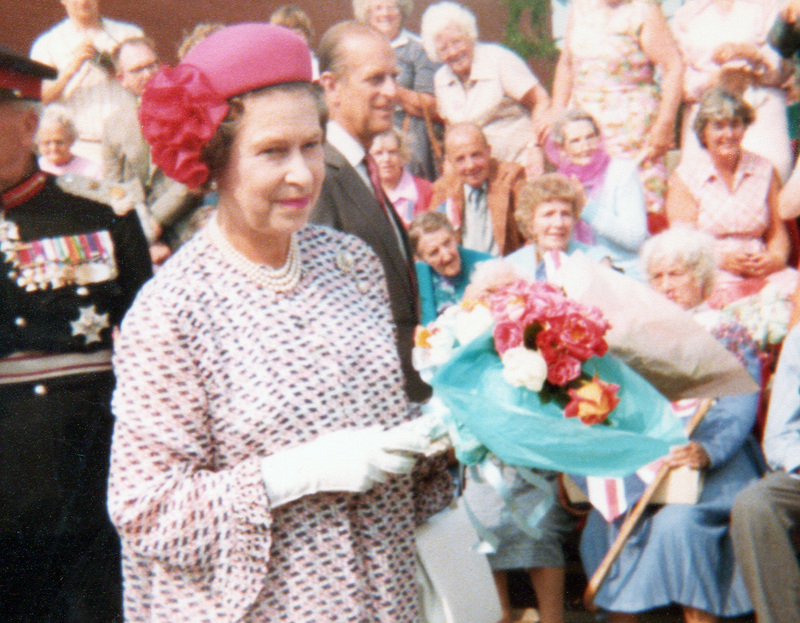 In 1982 the Queen came to open the North Herts Leisure Centre. Whilst the house we were in was in Jackmans Place, the house that backed onto us was actually on the Baldock Road. Since my neighbour is a good friend of mine she said ‘Come over and stand in my garden’. I thought that I was not going to get much of a view there so I moved down actually onto the road and the Queen passed about two feet away in her limousine going very slowly and I had an excellent view of her and got a lovely smile – plus the Duke. OK for me. Not very good security-wise but I wasn’t going to do her any harm. It was the Badminton Club that had a stand that I was on when the Queen opened the Leisure Centre. That was the connection, various St Paul’s group’s were invited to have a stand on the Baldock Road side of the car park to sell things to people who were waiting to see the Queen go by. 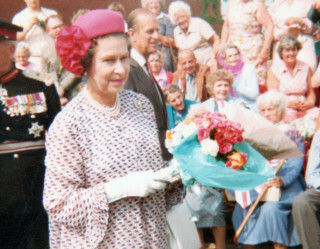 I remember the Queen coming to open the Leisure Centre and we all sat along Baldock Road, outside a friend’s house, with our flags and our hats. She was late so we spent hours discussing what colour her hat would be and then when she came, she zoomed past at 40 miles an hour and so we didn’t see what colour it was anyway. The waiting was much more fun than the Queen going past. This page was added on 29/06/2010. My daughter was chosen to represent her School which was Stonehill on the Grange Estate in Letchworth, there was a picture of her with the Queen in the Comet, I have mislaid that picture and would love to be able to get a copy.